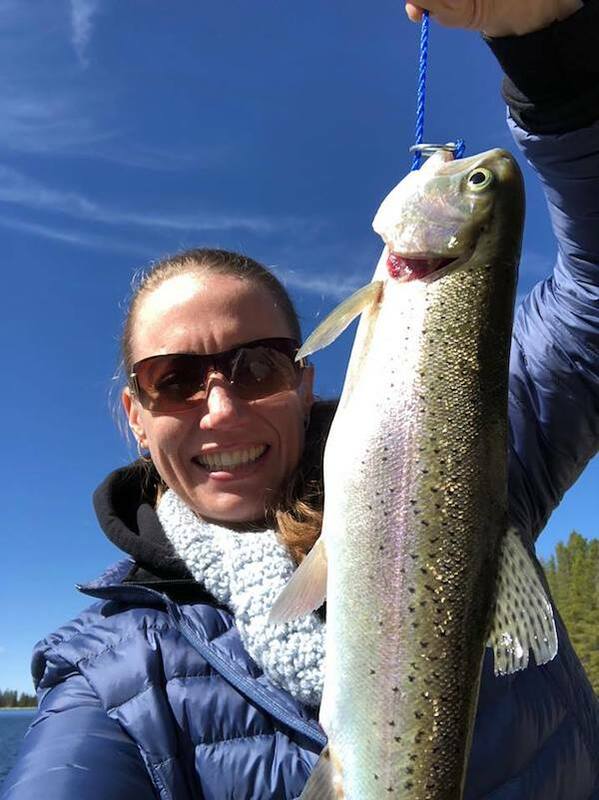 Our great friend, Katie, caught this beautiful 16" rainbow while fishing at Lake Alpine. She caught two more fish about that same size. Awesome fish. Can't wait to hear about your catch.